Despite being the go-to studio for portmanteau horror, Amicus dipped their toe into feature-length chillers on occasion, with varying results. 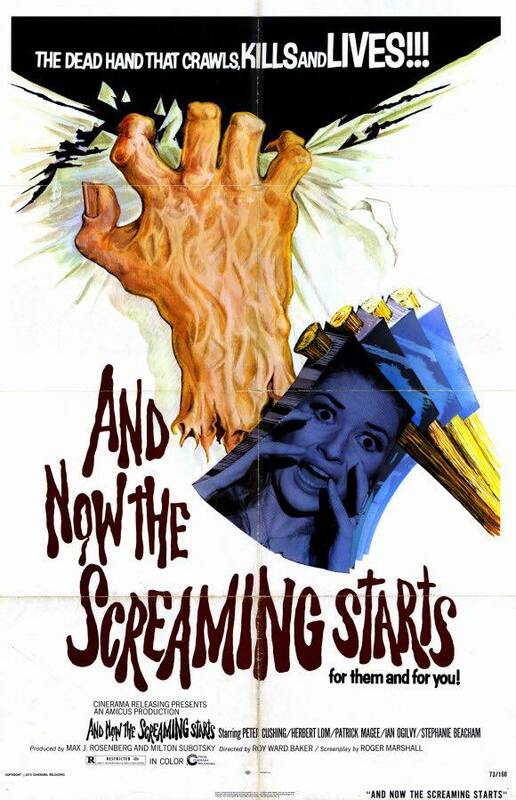 Essentially a riff of Daphne Du Maurier’s Rebecca, but with added eyeless phantoms and disembodied hands, And Now The Screaming Starts often feels like a portmanteau chapter fleshed out to full-length, but it’s not without its nasty charms. Catherine (Stephanie Beacham) arrives at Fengriffen Manor, her new husband Charles’ (Ian Ogilvy) family estate, to begin her married life with him, but almost immediately begins to feel ill at ease in the place. Soon, she begins to have horrific visions of a man with his eyes gouged out and a severed, but still mobile hand everywhere she goes. As period ghost stories go, And Now The Screaming Starts isn’t too bad. Stephanie Beacham pretty much carries the whole thing on her back (or her ample, heaving bosom which is rarely out of shot) and she rises to the challenge admirably. Her descent into madness is gradual, but believable as her initial feelings of dread and mistrust of the local woodsman (Geoffrey Whitehead) are reinforced when the grisly apparitions start making their presence felt. Ian Ogilvy is another safe pair of hands, dependable as ever as a stand up gentleman pushed beyond his limits, with his eventual near-psychotic state echoing how his character ended up in Witchfinder General a couple of years before. 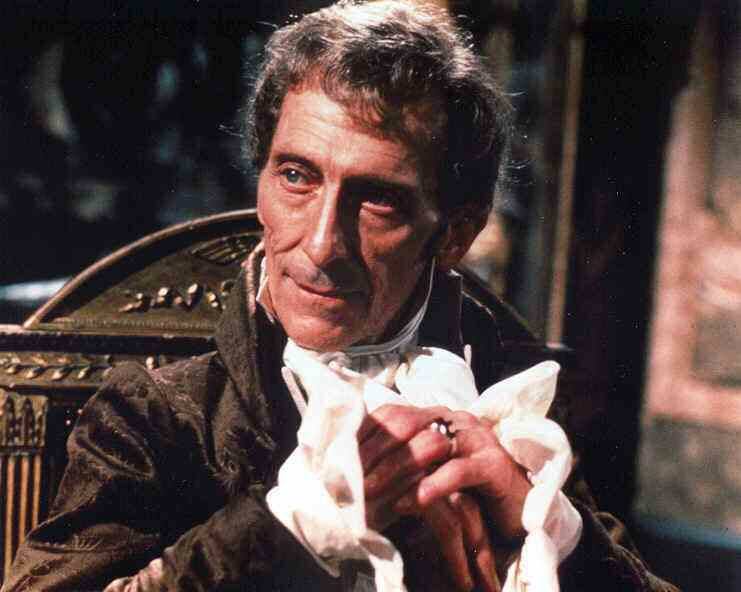 Obviously Peter Cushing is the safest of all hands here, casually imbuing a smaller part with all of the class and professionalism you’d expect from the great man. The revelation of just what the curse afflicting the house is comes from a particularly lengthy flashback to Fengriffen’s grandfather Sir Henry (Herbert Lom) and his appalling crime on his own woodsman Silas (Whitehead again) and his young bride on their wedding night. It’s quite upsetting and the cruelty on display adds a layer of empathy and complexity to the horror befalling his descendant. And Now The Screaming Starts isn’t the most gripping of haunted house stories, but it’s engaging enough and supported by a strong cast throughout, making it while not essential viewing, definitely worth watching more than once.